With the New Year in full swing and a full wedding schedule for 2016, I loved looking back on last year's engagement sessions to see where I was, where I went, and where I'm going. I learned a lot working with so many wonderful couples last year, which helped shape and mold the way that I arranged my Wedding Packages for 2016 and beyond. I'm so pleased that going forward all of my recommended wedding packages include an engagement session! The importance of the engagement session is something every couple should consider when weighing the options for wedding photography coverage. You get to know your photographer. It doesn't matter if you've been following someone's work for three years now online, it's really hard to get to know your photographer on a personal level without really spending time with them. This person is going to be up close and personal documenting one of the most important days of your life. You owe it to yourself to get to know them and get comfortable with them. 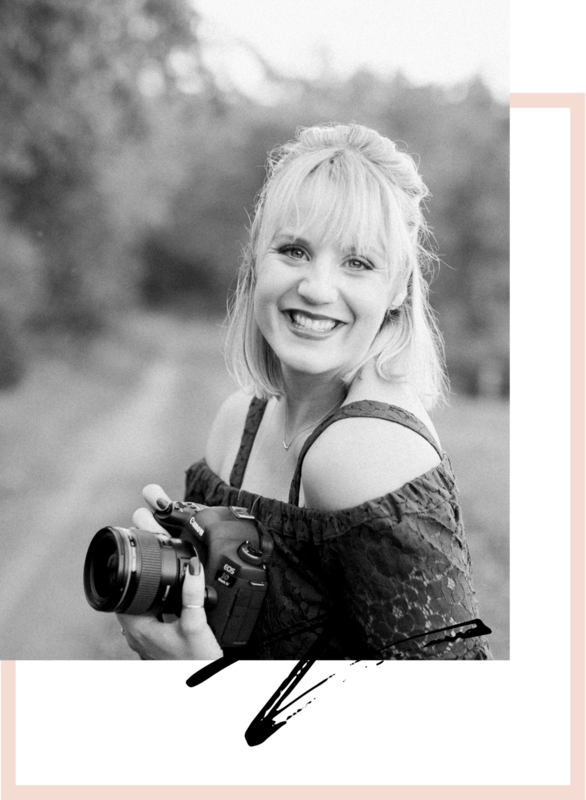 On the flip side, as a photographer it's nice to put a face with a name and also learn about different personality traits so we can develop a game plan for your wedding day. I might have different ideas for one couple based on what I know about them than another couple. While I know I can achieve great results on a wedding day with or without an engagement session, I must say that without that face to face time with you during the engagement session, I'm starting your wedding day off at a disadvantage. You can experiment with hair/makeup. Let's face it, there aren't many of us who wear model worthy makeup on a daily basis. I call it a win if I wash my face in the morning, and manage to swipe on some under eye concealer and mascara. Anything above that and chap stick is getting a little crazy for me. Anyway, my point is, it's honestly rare for most of my clients to wear the type of makeup that looks great in wedding photos on a daily basis. The engagement session is an awesome time to schedule a trial run for makeup! Believe it or not, heavier than normal makeup makes a photographer's job a dream, makes you look gorgeous, and can also make your images really pop. No, I would never wear false lashes on a daily basis (or ever, really), but I would definitely wear them on my wedding day! Professional makeup artists can make those falsies look natural and absolutely gorgeous, with just enough oomph to really make your eyes pop. Don't believe me? Schedule a makeup trial run for your engagement session and just wait until your images come back. Hello, gorgeous! You get comfortable in front of the camera. Remember that old saying, practice makes perfect? Let's face it, most of us aren't models, and that's OK. I know I get pretty uncomfortable in front of the camera if I have to pose... it's just not my idea of a good time. Can I get an Amen? While I really focus on capturing moments between a couple on the wedding day that unfold completely naturally, of course I still work with my couples on some posed shots as well. I absolutely love a documentary style of wedding day photography, but I definitely like to round it out with some posed portraits that still feel natural so you have the best of both worlds. Chances are it will honestly take you a while to warm up to the camera, and to me. By having an engagement session, we get a chance to work through all of the awkwardness with no pressure. It's amazing! I tell my couples to not expect anything at the engagement session other than getting comfortable. Of course I hope to make you happy with the end images, but my main goal is to work with you on getting those butterflies out, learning what your best angles are, and what I need to do to get that groom to come out of his shell! By doing this during the engagement session, your wedding day will be a breeze and you'll already know what to expect from me. I do many of the same poses on the wedding day that I do during the engagement session, so you'll be a seasoned pro! You get some amazing portraits of the two of you in something other than a wedding dress. Seriously, I don't know about you but I know that I'm not scheduling a portrait session for myself and my husband. Life gets busy once you're married, and more often than not children make their way into our lives and the last thing on our minds is some portraits of us as a couple. And that's Ok. Starting a family is a beautiful thing! But someday, maybe not for 20 years, your little family will so cherish a beautiful portrait of Mom & Dad when they were young and in love. Trust me. Memories like that are truly priceless. Nicole DuMond is a wedding and portrait photographer based in the rolling hills of Stillwater, Pennsylvania and serving the surrounding areas of Northeastern and Central Pennsylvania, including Bloomsburg, Benton, Berwick, Red Rock, Stillwater, Danville, Lewisburg, Hunlock Creek, Sweet Valley, and surrounding areas. For more information on Nicole’s Danville Wedding Photography offerings, please use the contact page.